Eeach morning during your visit you'll enjoy our full-service country breakfast made to order! Begin your Berkshire day the delicious way. At the time of reservation, accommodations that are assured as sold with full payment deposit on your choice of credit card. Forfeiture of entire reservation amount if canceled within 14 days of arrival. We accept cash, traveler's checks, personal checks, VISA, Mastercard, American Express and Discover. A 50% deposit is required for a confirmed reservation with balance due upon arrival or checkout prior to departing the property. A deposit insures that your accommodations will be available as confirmed and also assures us that the accommodations are sold as confirmed. Departure before final date of reservation will be charged as originally confirmed. CLOSEST Stockbridge MA Inn Bed & Breakfast Inn to The Norman Rockwell & Chesterwood Museums and Berkshire Botannical Gardens. Nestled high on 4 private landscaped Berkshire acres while you enjoy Full-Service gourmet style breakfast with sweeping views of the lawn and in-ground swimming pool. Each Luxury Suite is appointed with fine antique furnishings surround, Private bath en suite, Plush soft-cotton robes, Full bath amenities. Originally built in 1856 as a federal farmhouse with recently renovations to outdoor dining and lobby entrance, 10,000 sq. ft. of guest accommodations including a master Chef's kitchen where homemade gourmet breakfast is on the menu. Relax poolside with a good book and nature, or sit in the multiple porches. The Stockbridge Country Inn is centrally located and minutes to Tanglewood, Ice Glen, Laurel Hill Walking Trails & Tower, Naumkeg, Berkshire Theatre Festival, and Beartown Forest and walking distance to many fine shops, restaurants, galleries and theaters. Quiet and romantic setting, less than 1 mile to Main St. Stockbridge. 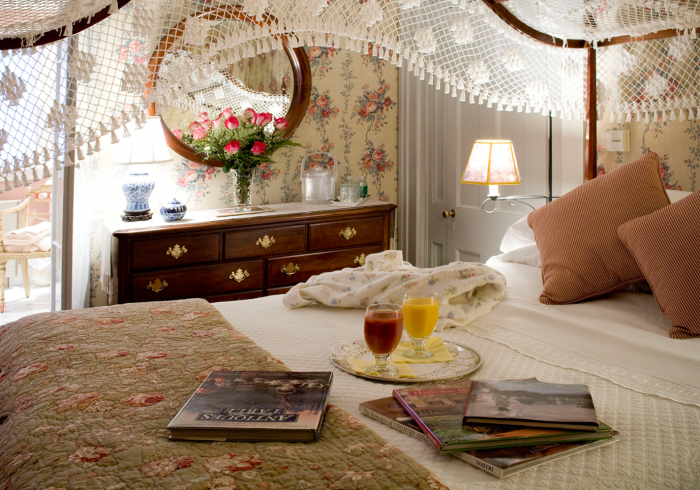 Celebrating 30 years in business this year, The Stockbridge Country Inn B&B makes for the perfect Getaway as your Home Away From Home in the Berkshires!